Ian Thomson is an acclaimed biographer, reporter and literary critic. His biography, Primo Levi: A Life, won the Royal Society of Literature’s W.H. Heinemann Award. His reportage, The Dead Yard: Tales of Modern Jamaica, was awarded the Royal Society of Literature’s Ondaatje Prize and the Dolman Travel Book Award. He has written on Haiti in Bonjour Blanc: A Journey Through Haiti, and translated the Sicilian crime writer Leonardo Sciascia into English. In addition he has edited Articles of Faith:The Collected Tablet Journalism of Graham Greene. His latest book, Dante’s Divine Comedy, reflects a long-held interest in Italy. He is currently working on a book about his mother’s birthplace in the Baltic during World War II. He is a senior lecturer in the department of literature at the University of East Anglia. Ian was elected a Fellow of the RSL in 2003. 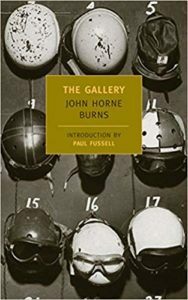 The Gallery is one of the finest novels about the Second World War. It endures because of its documentary authenticity and its magnificent prose by turns lyrical and vernacular. Amid the tangled wreckage of Allied-occupied Naples in 1944, Burns divines the moral and material ruins of Fascism, yet forms a romantic vision of Italy, which emerges as a haven for the lonely and those stranded in the backwash of the conflict. The author, a “promenading narrator”, creates his own gallery of characters as he reflects on his war-shattered nerves and gradual loss of innocence. It is a book to which I often return: all life is in its burning pages. W.S. 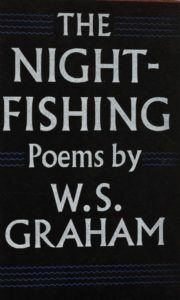 Graham’s great seven-part poem, published in 1955, is a hard-to-classify modern masterwork, which ostensibly tells of a fishing expedition after herring off the Cornish coast one night. In reality we are in a shadowy realm of mystery and incantation. In verse of tremendous power, Graham meditates on the sea with its gannets and screeching gulls; he uses language throughout as if he were discovering it as he goes along. I love Graham’s restlessly enquiring intellect – and the spirit of place so wonderfully summoned here. 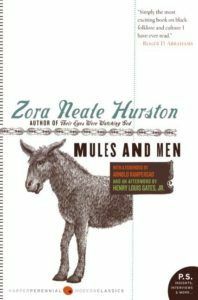 Armed with a pistol, in the early 1930s Zora Neale Hurston set out to explore the unfrequented backwaters of the Mississippi Delta in search of conjure lore and spirit practice (“hoodoo”, she calls it). The older folks’ tales of life the cane plantations intrigued Hurston; she interviewed root doctors, shamans, preachers and praise-singers. The result was scholarly but devilishly funny collection of African-American folk tales (as well as a superb first novel, Jonah’s Gourd Vine). Rarely have the swamplands of the Deep South revealed such a rich subsoil of neo-African animism.